The newest issue of Food and Wine Magazine is seriously worth checking out. I've already made the pickled eggplant salad, coconut milk braised chicken, and chocolate pudding with pinot noir syrup and espresso shortbread. 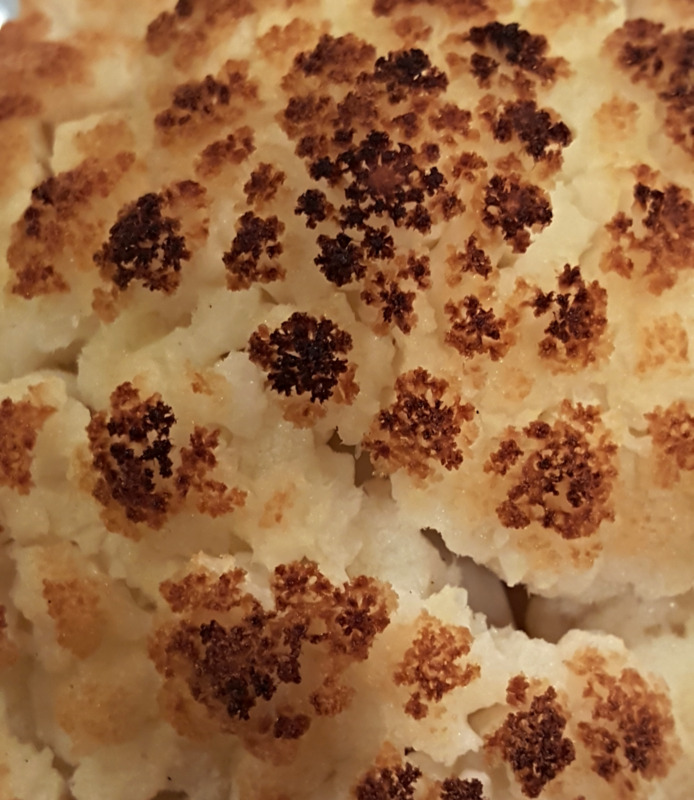 The leftover syrup was used on the lovely roasted head of cauliflower pictured below (not from the magazine). Cauliflower poached then roasted whole. After I took this photo it was then cut in wedges and drizzled with pinot noir syrup. I find it highly upsetting that most vegetables fall into the category of “specialty crops” from the point of view of the federal government, but am not surprised about the proportion of tomatoes and potatoes grown in relation to other veggies. As a counterpoint the the depressing stats in the above link, here’s a dramatic video of salads from around the world. Would you like some animatronics with your grocery shopping? It’s Oktoberfest let us all eat and drink in celebration that a month is arriving! I would be totally okay with a nickname like “the roux whisperer”! On Mark Bittman leaving journalism for a bay area start-up. To soak or not to soak...for the record, I rarely bother. But I guess I have fewer digestion issues regarding grains than most. Also from Food52, they may have taken Google’s squash doodle for the autumnal equinox WAY too seriously.